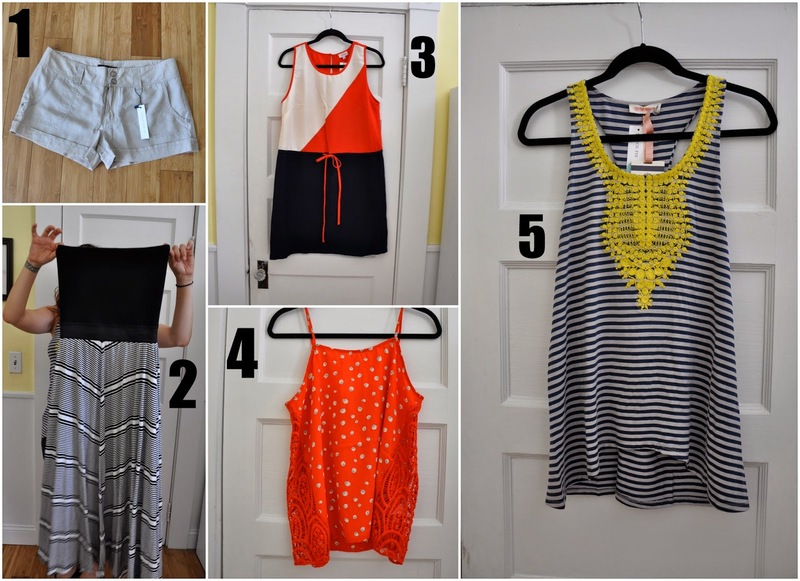 Stitch Fix Reviews with Jen: July! 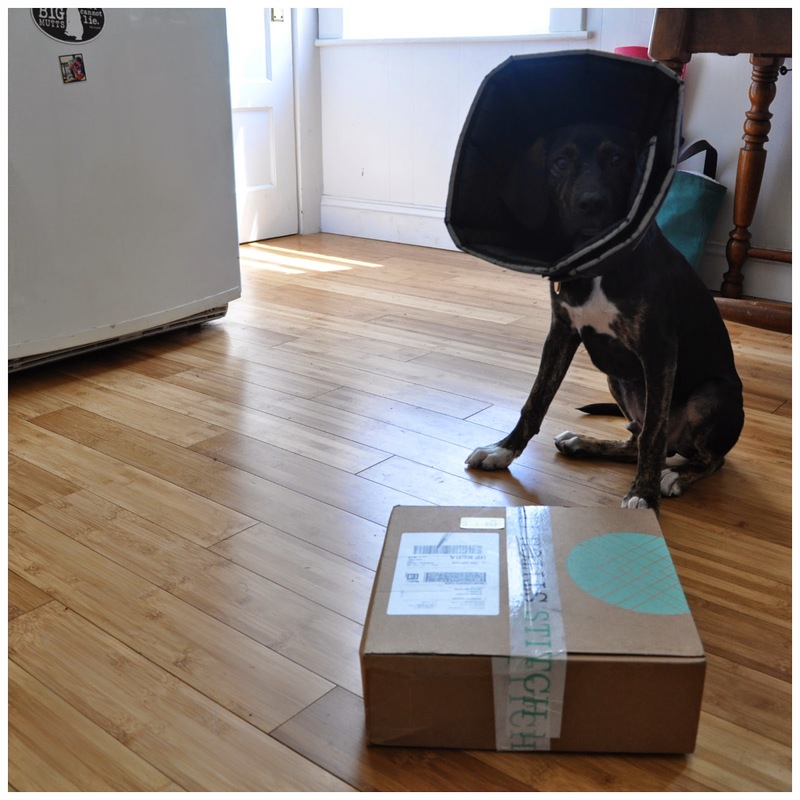 Lovelies, I'm sure by now you've heard of Stitch Fix, right? 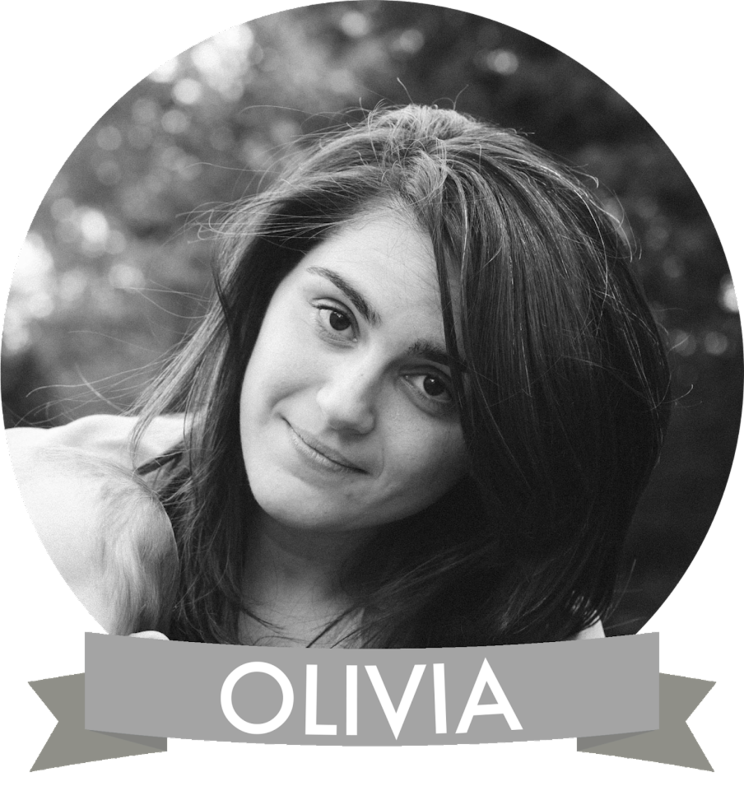 Well, we haven't tried it yet, which is why I am so thrilled to introduce you to our new guest blogger! 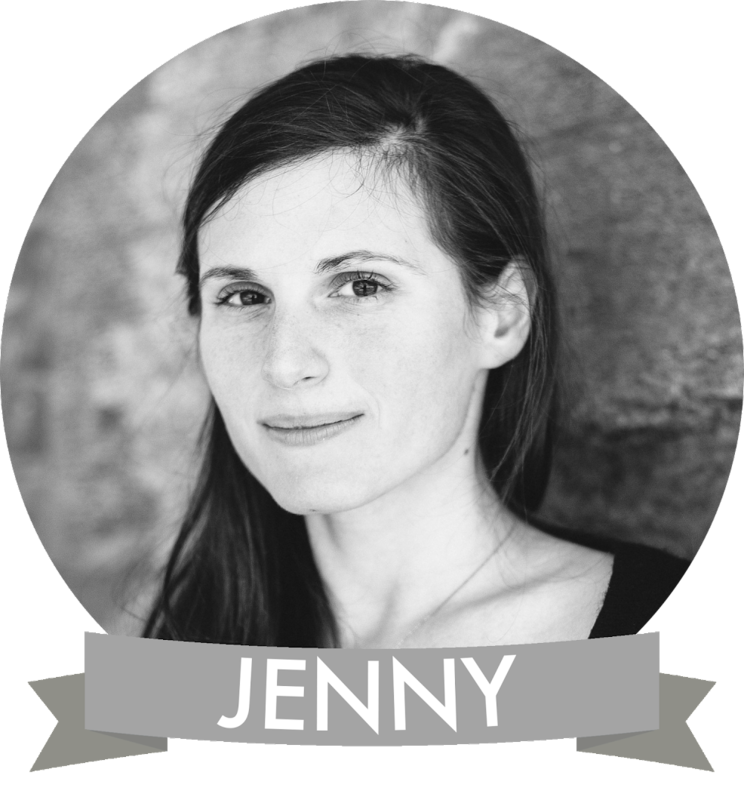 Jen is a friend of mine from college and she's going to be blogging all about her Stitch Fix boxes...you've actually seen Jen on here before, in a way, as years ago we featured her beloved dad's woodworking on a very new Lovely at Your Side! Jen will be here once a month, as we get to help her pick out what to keep, and what to send back...take it away, Jen! I first heard about Stitch Fix from a friend’s post on Facebook, and then I saw it pop up a few more times on my Facebook sidebar -- apparently retargeted marketing works on me because I signed up and created a profile! I’m not a fashionista and I don’t always have time to make it to the mall, so I loved the idea of receiving a package every month with five items of clothing picked out with my style in mind. It’s like a fine-tuned version of Birchbox with items that will last longer than a single use. Overall, it seemed like a neat idea and I figured the most I had to lose was $20 (which then could be used as a credit towards a purchase)! My first Stitch Fix package arrived at the end of June, and I loved the fabric, color and cut of each individual piece in my style package, but nothing fit! The jeans were too long, two of the shirts were way too baggy and the one tank I really loved didn’t fit my budget. I ultimately kept the scarf because a) I liked it a lot and b) I had $20 from the stylist fee in credit to put toward it. After sending 4 out of the 5 items back to Stitchfix, I left a thorough review for each item and adjusted my profile. I scheduled my next fix to arrive at the end of July. I mentioned in my personal note that I was looking for items of clothing that could be worn at BBQs, beaches and general summer time activities. I added: “No pants, but I’m in the market for a good pair of shorts.” And then on July 21, 2014 my second Stitch Fix arrived on the front porch! I really enjoy the first look. I think Stitch Fix does a nice job of packaging their clothes and presenting them in a personal way with a note from the stylist and inspiration cards. I liked the cut, the fabric and the pockets! I would have kept these if they hadn’t been a size too small. If I could have one Stitch Fix wish, it would be the ability to return an item and go up/down a size. When I pulled this out of the box it had everything I love in a maxi dress -- a basic pattern, limited colors, and a flowy skirt. I couldn’t wait to try it on, however, I quickly realized it did not work with my body type. The elastic around the waist was much tighter than the rest of the dress. The skirt cascaded and billowed with too much fabric below the elastic. I was so excited when I read the personal note from Natalia, my stylist, because she included the Pixley colorblock dress because she saw it on my “Style Board” on Pinterest. I thought: “Yay! They use my input!” However, I didn’t consider the fit and cut for my body type when I pinned the picture of the dress on a mannequin. It was a size too small and did nothing for my curvy body! I’m on the fence about this item because I own nothing like it in my current wardrobe. I love the color and the crochet details on the side, but I’m not sure how often I would wear it. What do you think? LOVE IT! The Kahlo Tank was on the very top of the box when I opened it and I immediately fell in love with the yellow embroidered details. When I tried it on, I was so happy that it fit and that it was comfortable. I can’t wait to wear this to my next BBQ! Overall, StitchFix has my style down! In one way or another, I love almost every item they send my way. My next step is to use the lessons learned and tweak my profile to better represent my body type. Pin Myself! I plan on pinning a few pictures of myself in Stitch Fix items so the stylist can see my body shape and have something in addition to my weight, height and dress size. Pin Carefully! I need to be more descriptive in the text of my pins. I plan to state exactly what I like or don’t like about specific clothing items. Both times the stylists used Pinterest to get to know my likes and dislikes. Details details details! Leave feedback on every item of clothing before closing out the order. I did this last time and it seemed like they listened, so I plan on doing this again. Also, include details on what you’d like to see or not see in future fixes! They gave me two dresses and a pair or shorts because I mentioned how much I loved wearing them in the summer. Let me know what you think! 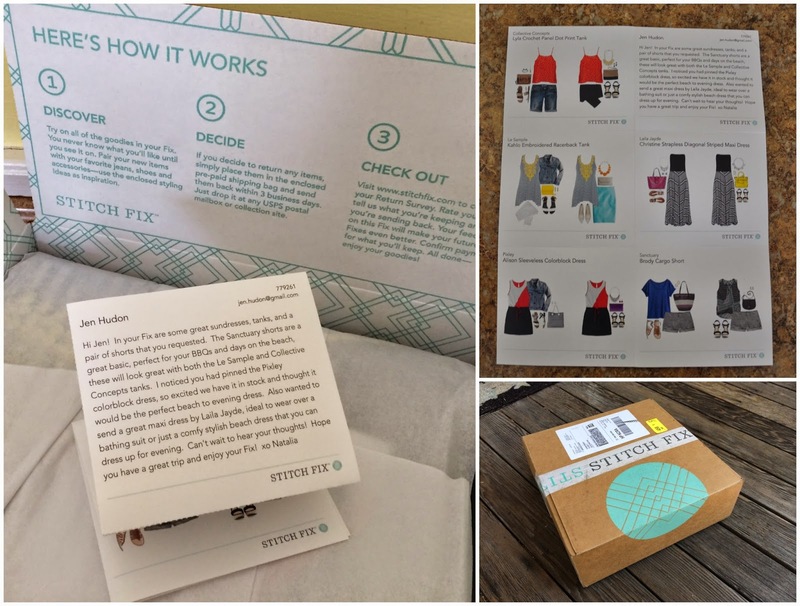 And if you’re interested in receiving a Stitch Fix, sign up and start a profile. I’d love to hear what you think about your future fixes! Love that tank - very cute. Detailed pins and comments back to the stylist are definitely the way to go. I found the third box (after I had specified to the stylist to really pay attention to my pins and that I needed bigger sizes) to be a charm:) I kept nearly everything in it. 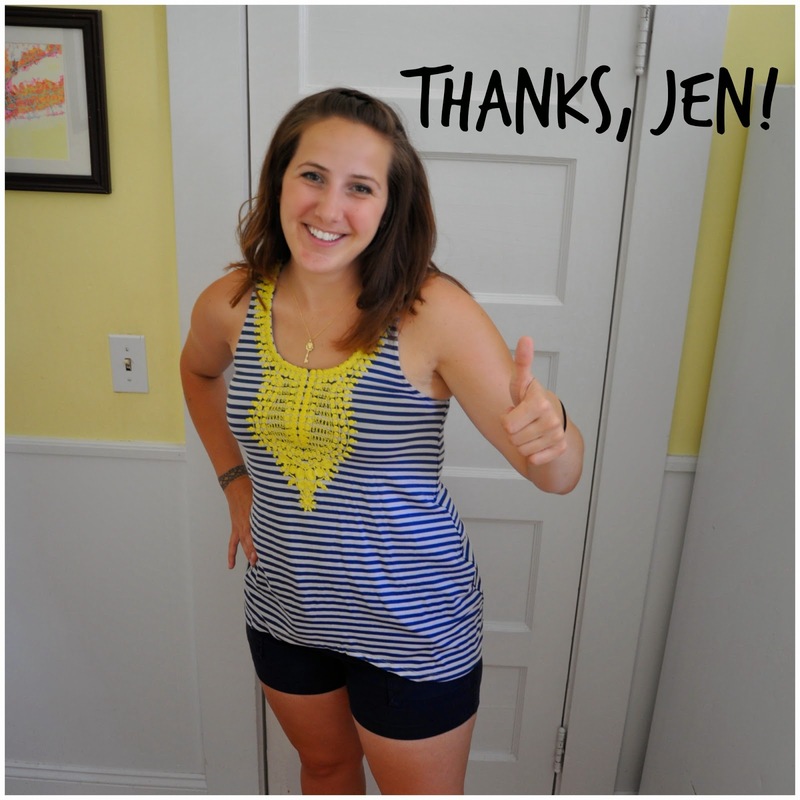 I loved learning about StitchFix, and it's so fun hearing from Jen! Great post!